Are you curious about the natural world, the built environment near your home, or the impact that humans have on ecosystems and wildlife habitat? Are you interested in broaden your experiences and learning how to become a scientist? I am always on the look-out for curious, motivated, and responsible students who want to work in a team environment on scientific questions related to ecology and conservation. Students of all levels are welcome, from freshman to seniors. I am especially interested in meeting freshman and sophomores who are interested in becoming a longer-term contributing member of our team. Research experiences are the some of the best ways to explore your interests and meet new scientists and students. Plus, you’ll gain valuable opportunities to participate in, design, and complete real science projects that make a difference – and have fun along the way! • Explore what we do in the Hall Lab by thoroughly browsing our website. • Email me with a cover letter and your current resume or CV. When you write to me, please structure your introductory email like a formal cover letter. In other words, tell me a bit about who you are (year, major), what experiences you’ve had that have led to your interest in our research, and what type of experience you are hoping to gain. Also, please attach your resume and your unofficial transcripts. If you don’t have a lot of stuff on your resume or transcripts yet, don’t worry — these documents simply help me to learn about your experiences and strengths to assess the ways in which we might successfully work together. 🦋 What is the difference between a resume and CV? 🦋 Participate in research for your Barrett Honors College thesis. 🦋 SOLS Undergraduate Research Program (SOLUR): The SOLUR program is a great opportunity for you to apprentice with our research team and eventually contact an independent research project under my guidance. As a part of the SOLUR program, you will be a part of a larger community of learners including other undergraduate researchers in the School of Life Sciences. SOLUR Researchers and Fellows are paid a stipend for their efforts, and all students participate in the Annual SOLUR Undergraduate Research Symposium. It’s a great opportunity — check it out! 1. The Nature at ASU community has assembled a ‘How To Pursue an Environmental Career‘ document about how to make the most of your time at college to prepare for (and be competitive for!) an environmental or conservation career. Check it out! 2. Consider joining one or both of these active and exciting student groups, Nature at ASU and the Central Arizona Chapter of the Society for Conservation Biology (https://cacscb.org). These two groups will be able to help you find a community of like-minded students and get the experience you need for your resume to successfully compete for a job in ecology, conservation, or wildlife-related fields. I am the faculty advisor for both groups, so if you have additional questions, let me know (email: sharonjhall@asu.edu). 3. 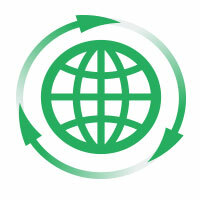 Sign up for a weekly digest from the ECOLOG job board. ECOLOG is the the community job board of the Ecological Society of America. Undergraduate internships and opportunities are posted here all year long, but especially from December to June because people are looking for motivated summer interns. To join the ECOLOG community, follow the instructions on this page. If you have worked with me or are in my research group, or if you performed well in one of my courses (and I have interacted with you personally), most likely I will be happy to provide you with a letter of reference for a job, future study, etc. I will be able to write a better letter for you if I know something about you. I teach both graduate and undergraduate courses in the Schools of Life Sciences and Sustainability.